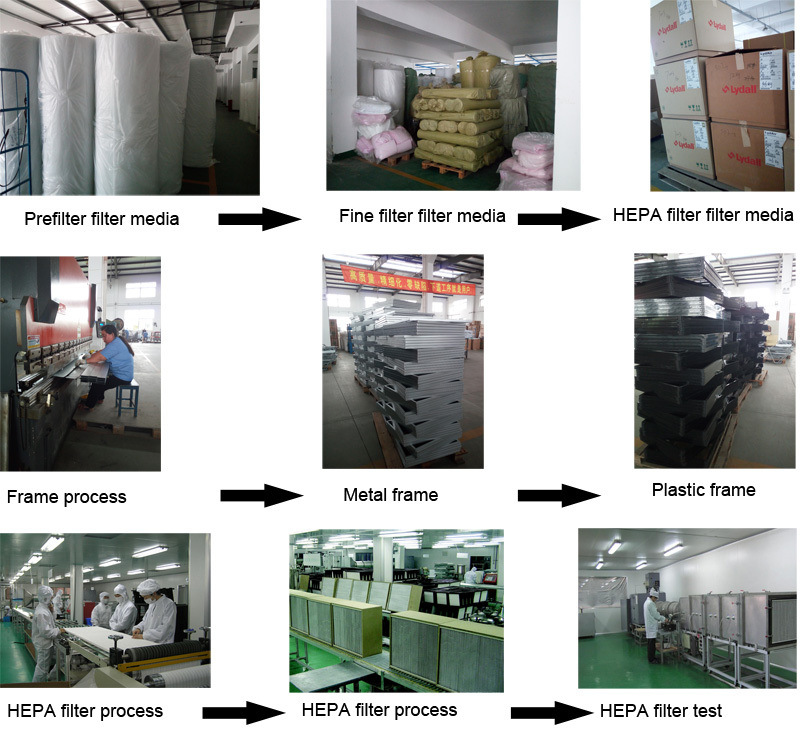 HVAC air filters production procedure. 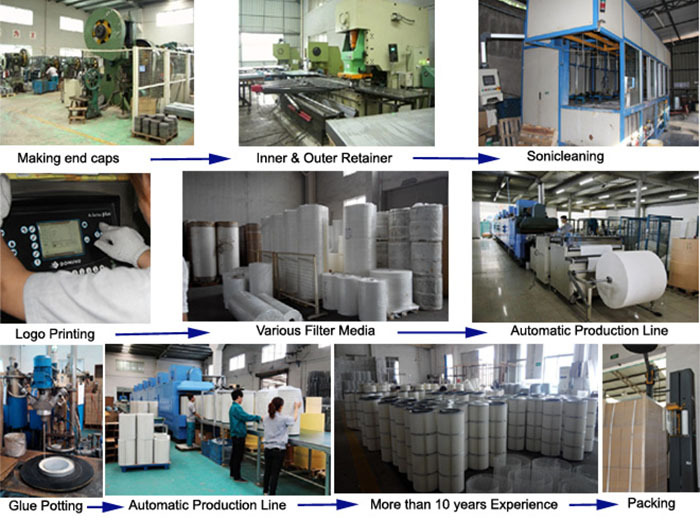 Thenow’s filters are manufactured on 6 advanced, all-process production lines under strict quality guidelines. In order to abide by the rigorous guidelines and constantly be able to deliver large quantities of qualified products, we use electronically controlled state-of-the-art production machines such as CNC punch press, CNC lathes, CNC wire cut machine, CNC bending machines, electronic pleating machine, etc. The production processes are precisely defined for every product and can be divided into three steps: basic processes, key processes and core processes. Each step in the production of a Thenow filter is designed in such a way that defects cannot occur. Manual production has always been and will be an important component of Thenow’s business philosophy. We can guarantee a high quality product at the end of our production process with our highly qualified staff, a globally standardised management system and our close attention to rigorous guidelines. Since our inception, quality has been the sole guiding force. Quality is built into all of our products, originating with research and development and carrying through with manufacturing best practices. We have a separate department for maintaining the quality of our products. All the manufactured products are consigned to the department for inspection before their market release. Quality inspection is also an integral part of the manufacturing process. This process is separated stage-wise and the promotion of a product from one stage to another is subject to its fulfillment of prescribed quality criterions. We have a unique documentation system & material traceability systems for quality control of products. All our technicians are qualified in their respective areas. Our commitment to continual product and process improvements is affirmed by our support for internationally recognized quality certifications. Our plants strictly adhere to internal technical product specifications, as well as the standards of ISO 9001, original equipment manufacturers and CE. Thenow complies with ISO standards and CE directives. We are certified under the ISO 9001 system of quality management, and our products meet the compliance of EU directives and regulations. In today’s global economy, however, meeting or exceeding OEM standards for fit, form and function are no longer enough. We must also traverse the globe in search of the most competitive costs possible, while never compromising on quality.